This reddit entry didn't specify the name of the snake (i hate it when they do that) so off to tineye I went to see if this image existed anywhere else and I found the stock image on gettyimages. 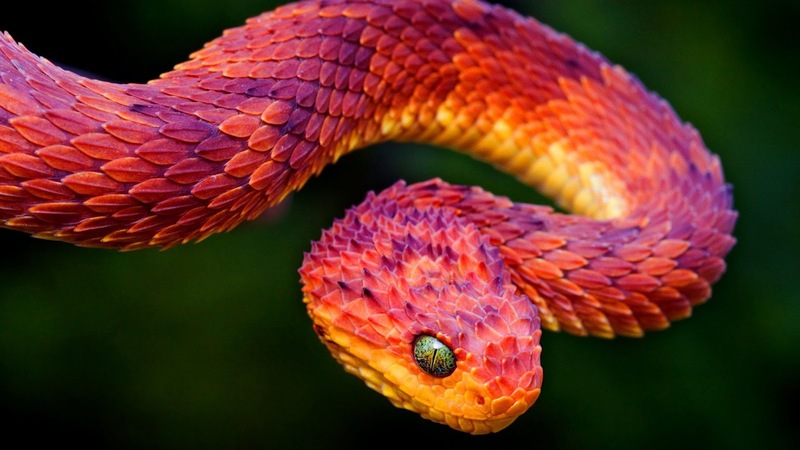 It's a Rare Red Phase Bush Viper, and it is Venomous. Usually these snakes are green. This photo of the snake, as beautiful and bright as it is. Is most likeley edited. But I still like it anyway. Looks like a dragon!